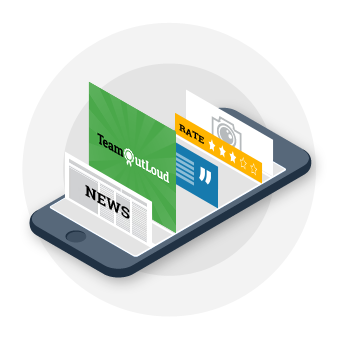 TeamOutLoud is a social app for companies (hotels, in particular) with a powerful employee engagement system. Just like in LinkedIn or Facebook, employees here are able to evaluate professional and interpersonal skills of each other, post news and comment other updates, add and take photos of their work activities. The app is dedicated to increasing employees engagement, retention, and happiness. A quick response, as it is a social app connecting people with one another. It was extremely needed to shorten the timeout and show new info immediately. We decided to make a PhoneGap application. PhoneGap reduces application development time for iOS and Android to 30%. Our company has worked with PhoneGap plugins before. It also allows reducing the budget by 20-25%, which is important for startups. Standard patterns for unique solutions. Firstly, as we had a considerable experience working with AngularJS, we started designing the solution using this framework. However, its efficiency didn’t match project needs. To make our social app operating as quickly as Facebook, we developed our own ReactJs-like library. Such a solution made it possible to build an in-app news feed quickly and show the changes instantly. TeamOutLoud is already have a rich success story. It is used by The Ritz-Carlton, Corinthia, Intercontinental, Sheraton hotels and serves more than 6000 users in total. 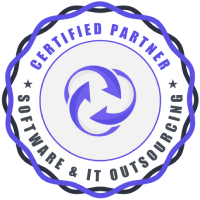 IR is a development partner of the TeamOutLoud startup featured at WebSummit 2015 in Dublin, which then proceeded to the pre-accelerator stage and finally to startup accelerator which takes place in Lisbon in November during Websummit 2016.